Mirihi Island Resort, Maldives- small and luxurious. 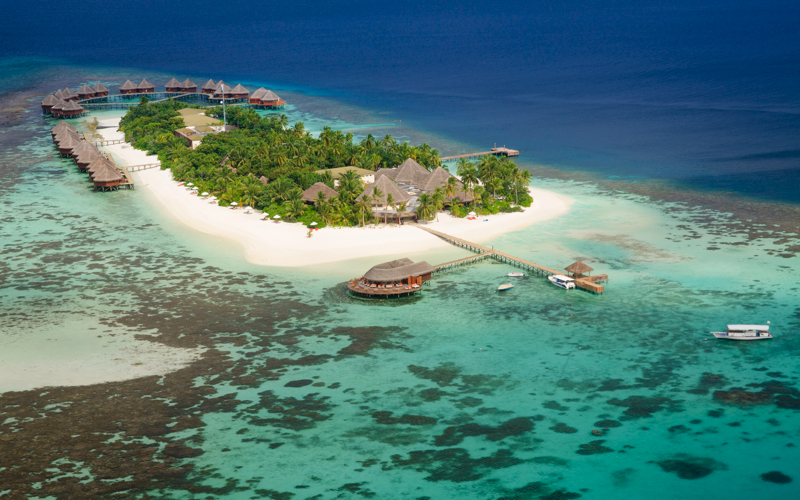 Mirihi Island Resort is just just 350 metres long and 50 metres wide with palm fringed white sand beach. It’s one of the smallest islands in the Maldives. Located in the South Ari Atoll, a 30 minute seaplane trip from Male Airport. The resort combines modern and traditional elements. There are only 36 accommodation choices. Choose from Beach Villas, Water Villas, a 2 bedroom over water villa or a 2 bedroom Beach house. All have free Wi-Fi. 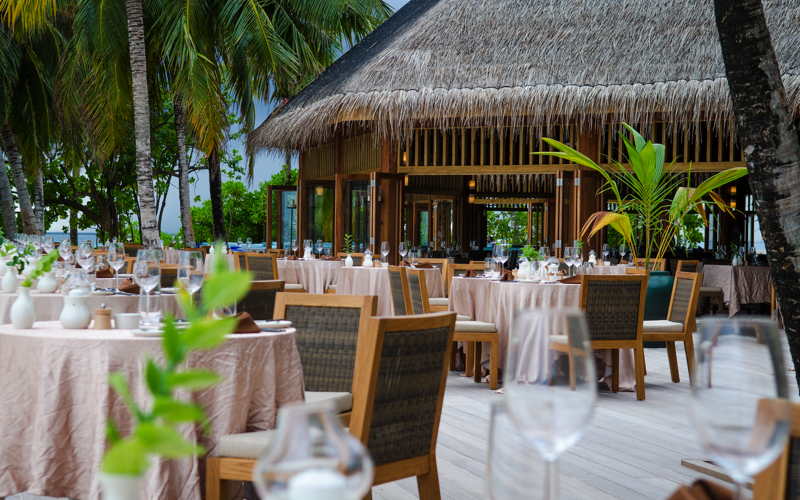 Mirihi Island Resort has 2 restaurants and 2 bars. Dhonveli is a traditional sand floored restaurant will amaze you every day with its sumptuous offerings. With 3 meals a day, you will find a combination of international special­ties and delicious local seafood. 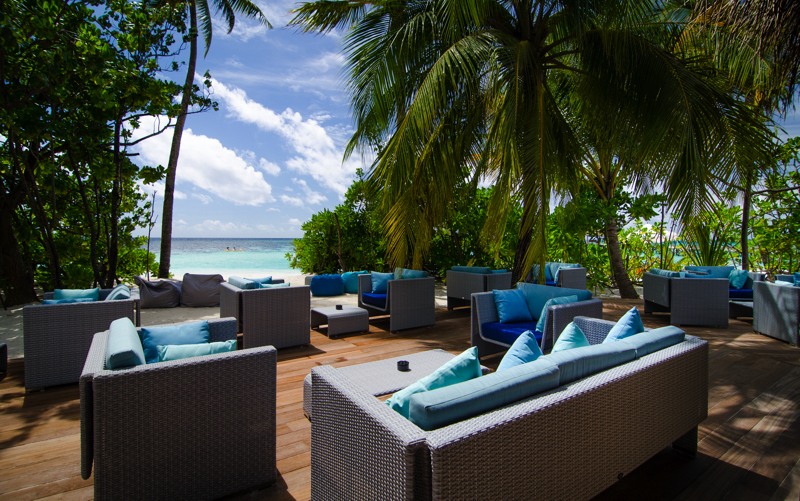 Murakha is on decked terrace, with views out to the Indian Ocean, with 8 exclusive tables. Specials include Lobster Dinner on Tuesdays and T-Bone Steak on Wednesdays. Ruhgandu is a small and unique Wine Lounge showcasing 300 of the best wines and Champagnes, from all over the world. They also offer a curry evening every Saturday, Anuba is the main bar, elegant and cosy. It offers occasional live music and special events. The Ocean Pro Dive School, on Mirihi Island Resort caters for all levels of divers, from beginners to the very experienced. 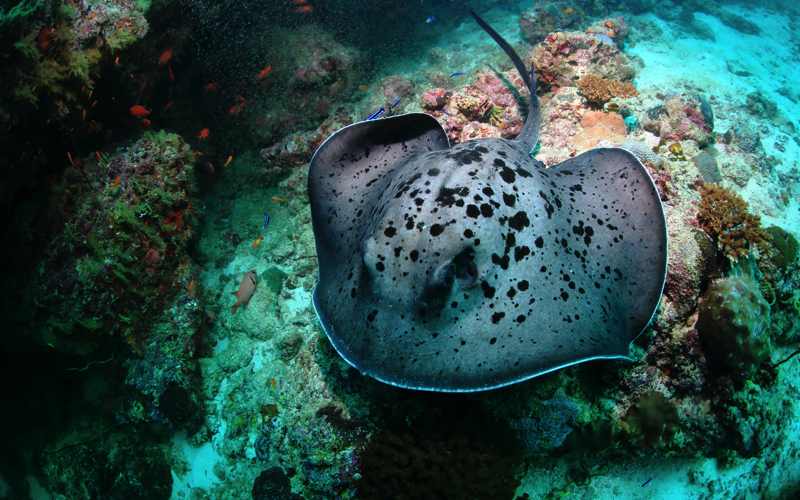 With over 40 diving sites and a multilingual team, you are assured a very personal service. The resort is in the unique position of having the chance to spot whale sharks throughout the year and offers regular trips for both divers and snorkelers. The house reef is just a few metres into the water, it’s one of the best house reefs in the Maldives. 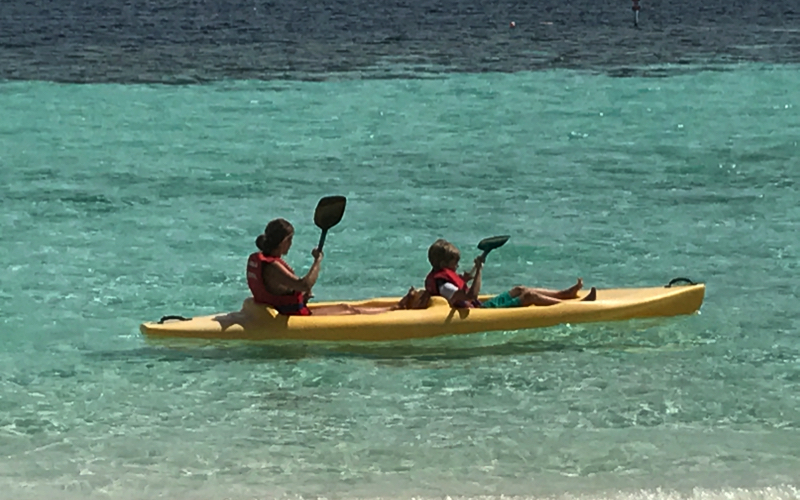 Watersports at Mirihi Island Resort include Kayaking, Stand-up paddle boards, and wind-surfing. You can also hire a Speed Boat or Dhoni for your own private trip, or go out on a fishing trip. Excursions you can take include a sunset cruise to spot dolphins, a local island visit, movie night or island picnic. 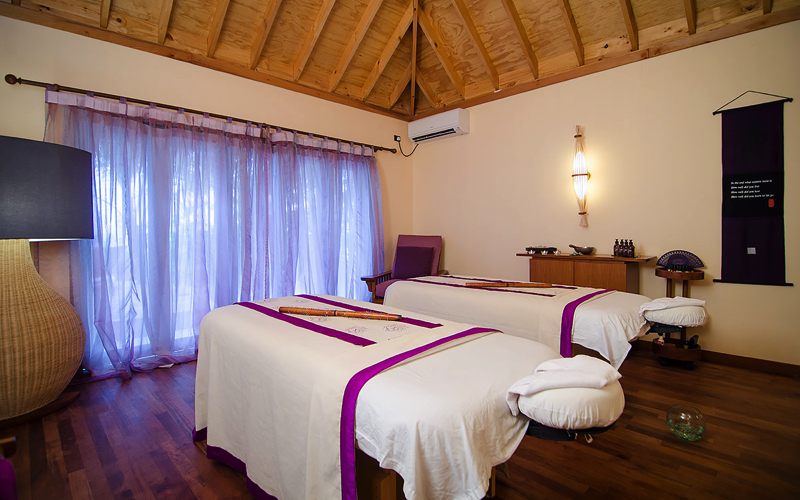 Visit the Duniye Spa for relaxation and pampering. Choose to re-charge your batteries, rejuvenate your body and mind and to feel and look well. There is also a fully equipped fitness centre. 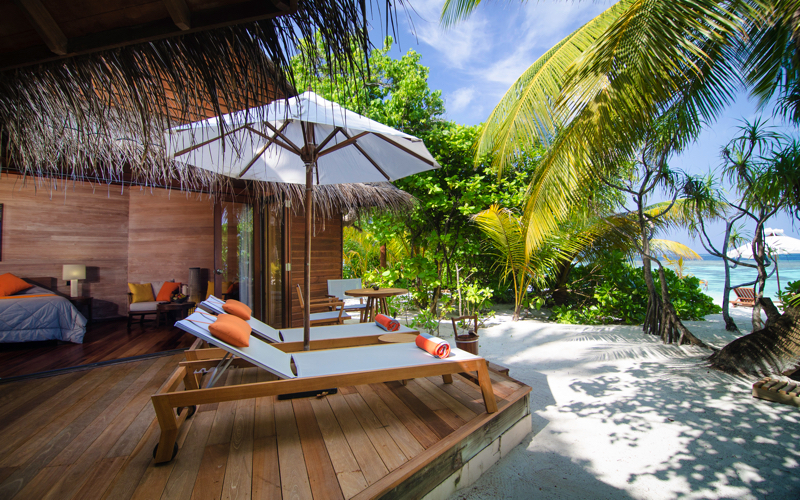 Contact us today to book your dream holiday the the luxurious small Miirihi Island Resort.